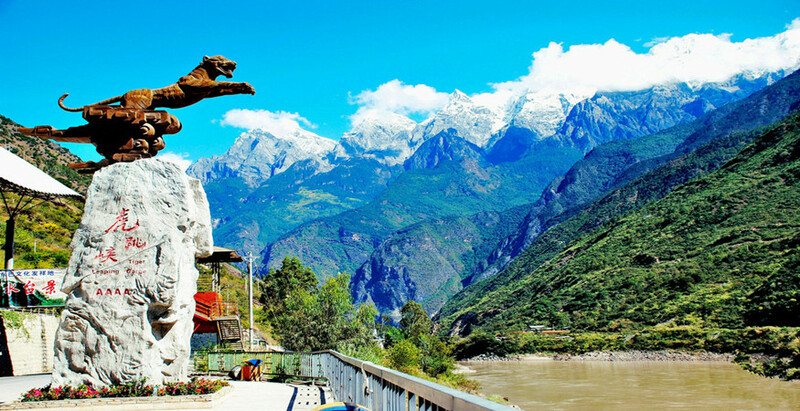 At the junction of the Qinghai-Tibetan Plateau and Yunnan-Guizhou Plateau stands a Yunnan’s famous tourist spots, Tiger Leaping Gorge. 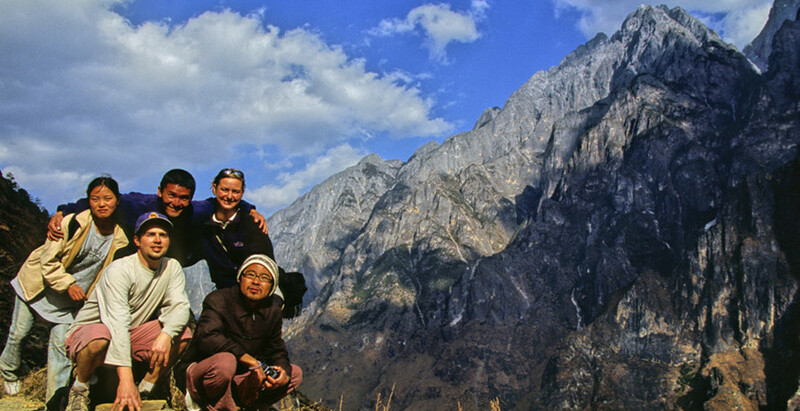 The gorge is tucked neatly between the Yulong Snow Mountain and Haba Snow Mountain. 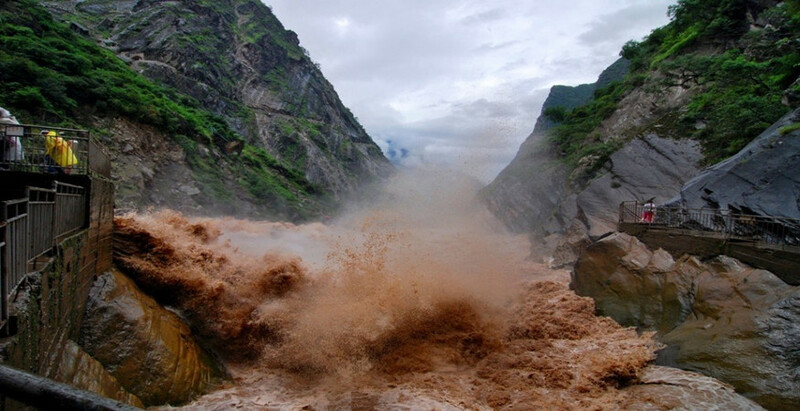 At the opening of the gorge, which is also the mouth of the Jinsha River, a Herculean pebble, about 30 meters wide, seems to be stranded amidst the billowing waves. In this tour, you can witness an incredibly loud, churning and foaming river relentlessly pounding giant boulders in its path. 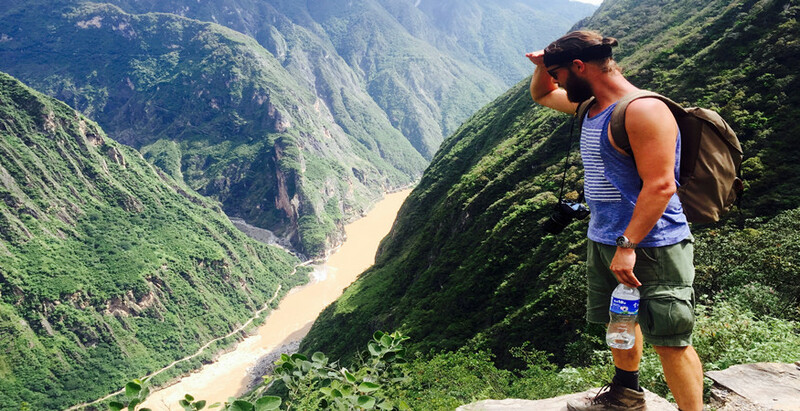 Hike along Tiger Leaping Gorge and be awed by the magnificent gorge scenery. Step into Guanyin Waterfall & Bamboo Forest and feel the charm of nature. At 8 AM, meet your tour guide & driver at the entrance to Lijiang Old town(Big Water Wheel) and head to Qiaotou Town. On the way, have a distance view of the First Bend of Yangtze River from afar. After Arriving at Qiaotou Town, hike about 2.5 hours from Qiaotou Elementary School to Naxi Family in Nuoyu Village for lunch and rest. In the afternoon, continue hiking about 1.5 hours to the 28 Zigzag Turns Trail. 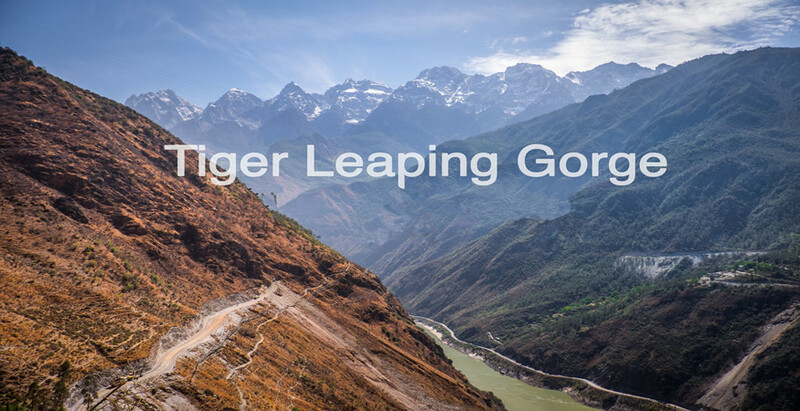 You will have a wonderful view of the upper part of Tiger Leaping Gorge from 28 Turns Trail, then hike about 1 hour to Tea and Horse Guesthouse for overnight. After breakfast, hike 1 hour to Bendiwan Village and take a break at Half-way Guesthouse. Hike along a small train to Guanyin Waterfall and Bamboo Forest, arrive at Tina’s Hostel at noon. After hiking, have lunch in Tina’s Hostel and drive along the Yangtze River. 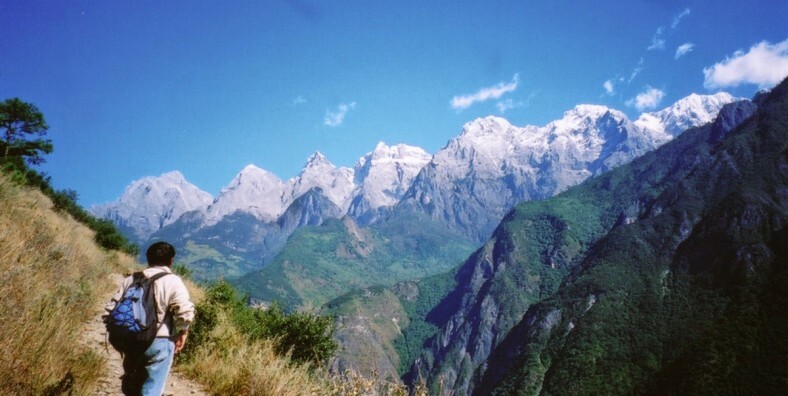 We will have a stop to visit the Upper Tiger Leaping Gorge on the way. Drive back to Lijiang in the late afternoon. Service ends.